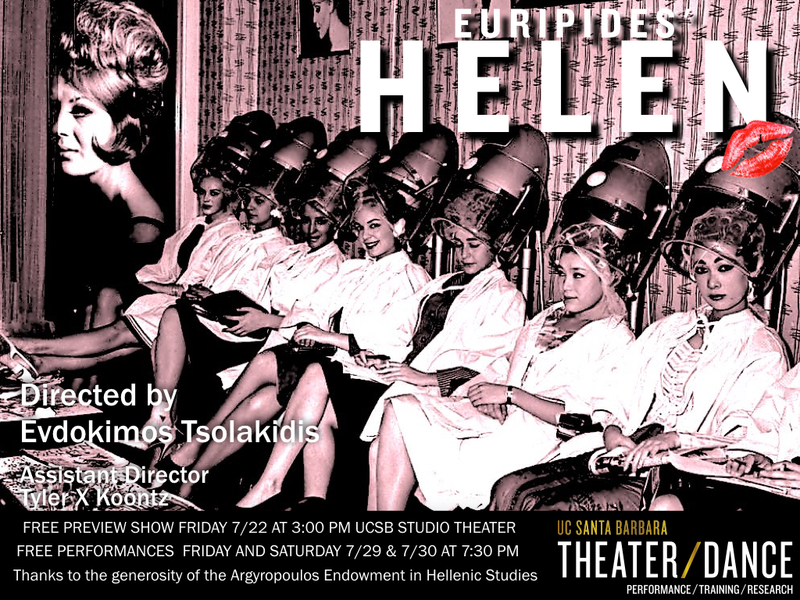 UCSB’s Theater and Dance is proud to present Helen, by Euripides, directed Greek guest artist Evdokimos Tsolakidis as part of the summer session program. Bridging the gap between past and present, students will explore the ideas and politics expressed by Euripides, the ancient greeks, and how they relate to today. "While I write these lines, the news reports that there is a terrorist attack in Nice with at least 70 dead and lots of wounded. We are experiencing a war, an undeclared war, a religious war, a war of civilizations. 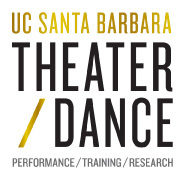 And here am I, at UCSB, to direct "Helen" by Euripides, the most antiwar play I ever read. According to Euripides, Helen never went to Troy. Why then did the war happen? Why are wars happening? "All for an empty tunic, all for a Helen"
And if this was wasn't enough, Helen is maybe the first feminist play ever written, since she, a woman, appears to be more clever than Menelaus, the man. And if that wasn't enough, there is also a social-political dimension in the play, since a servant goes against the will of his master and stops him while disagreeing with him! And the master himself discusses the issue with his servant!!! All wars on Earth are civil wars."